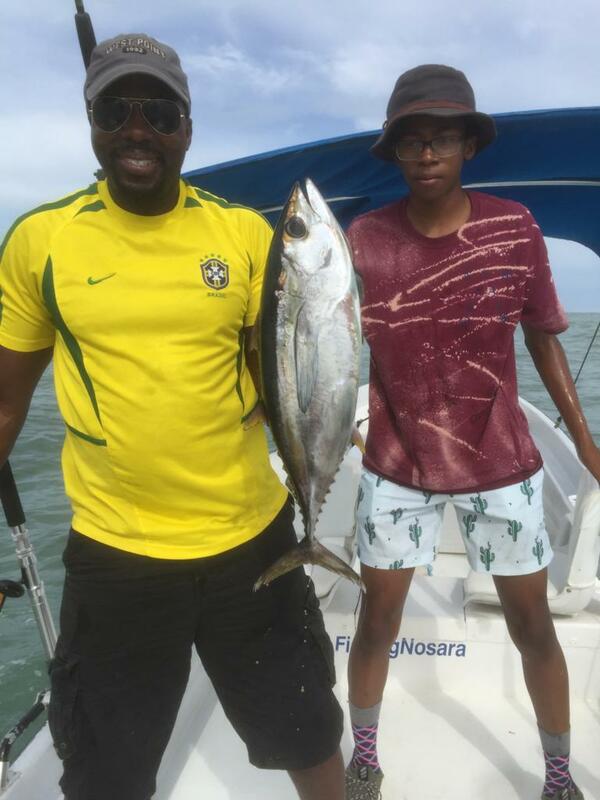 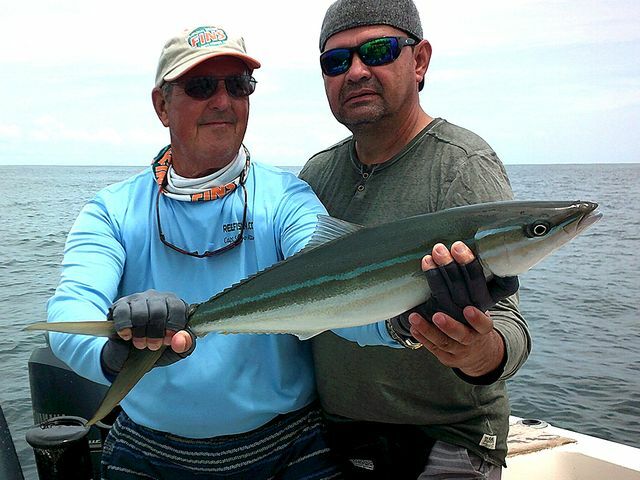 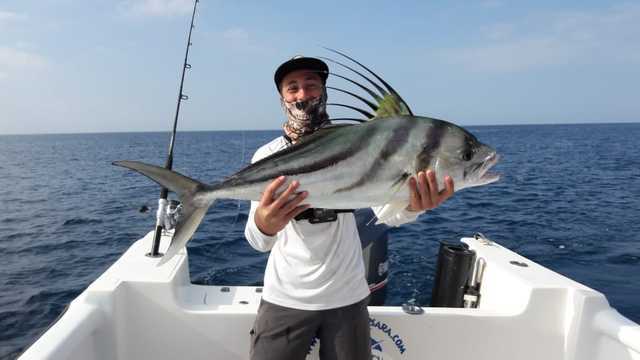 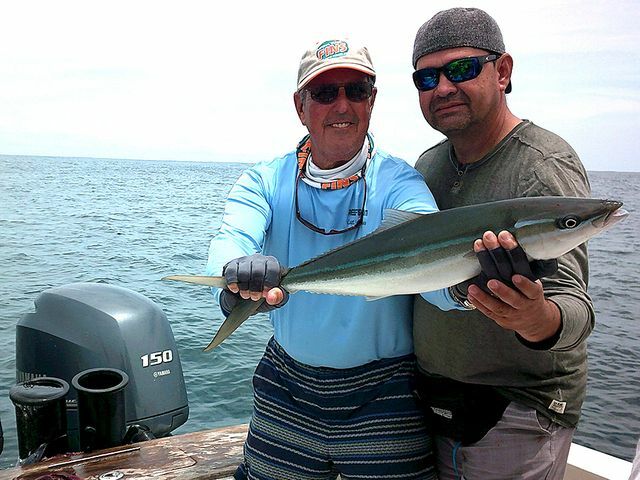 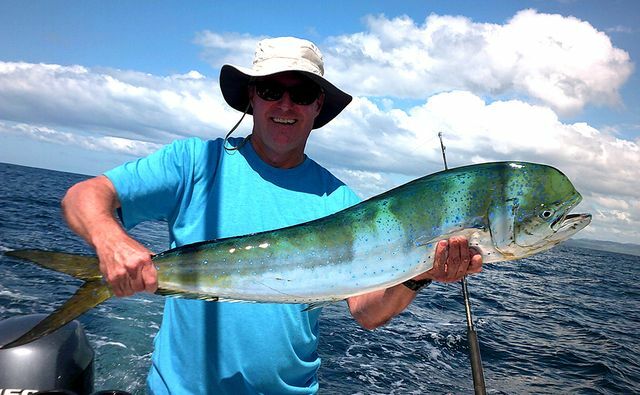 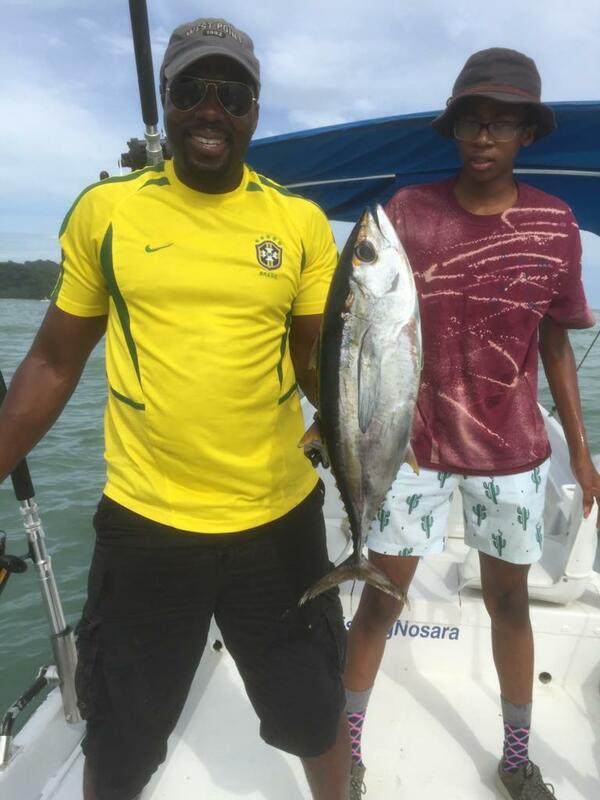 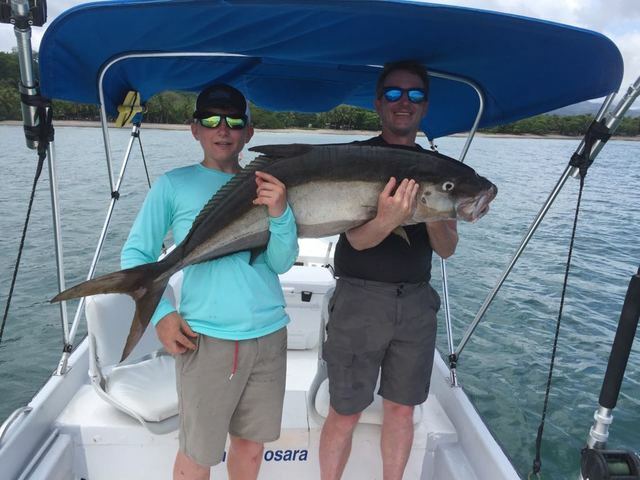 The Robert family stayed near to shore with Captain Alex on the 19th, and they ran the gauntlet of our inshore species. 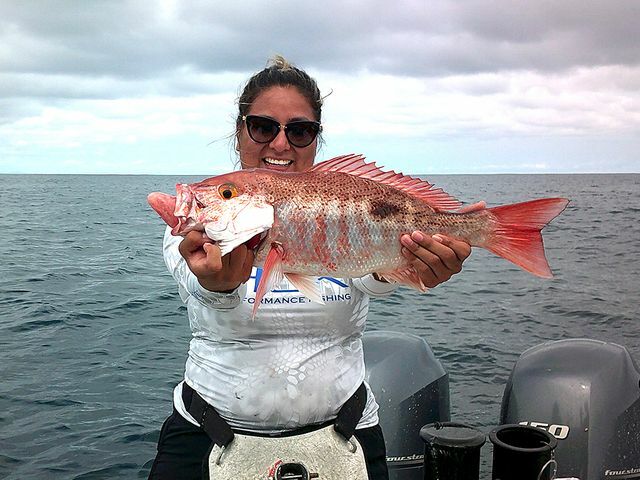 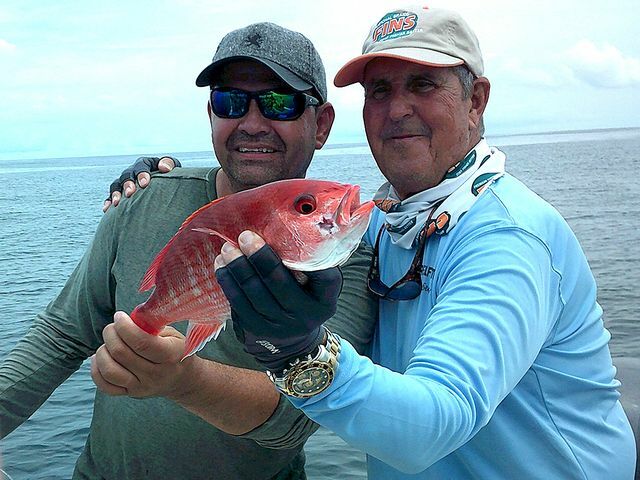 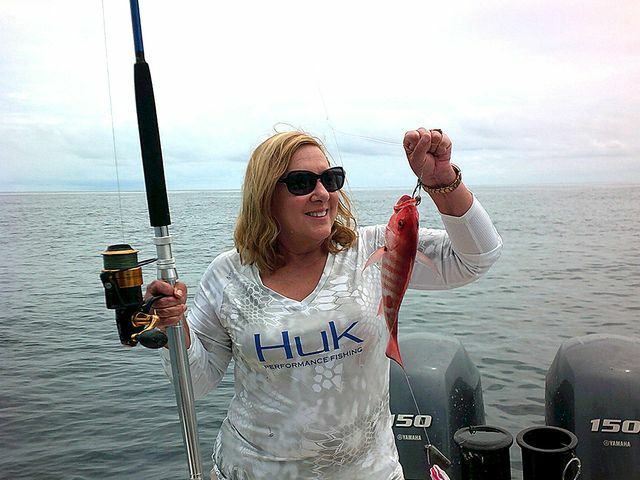 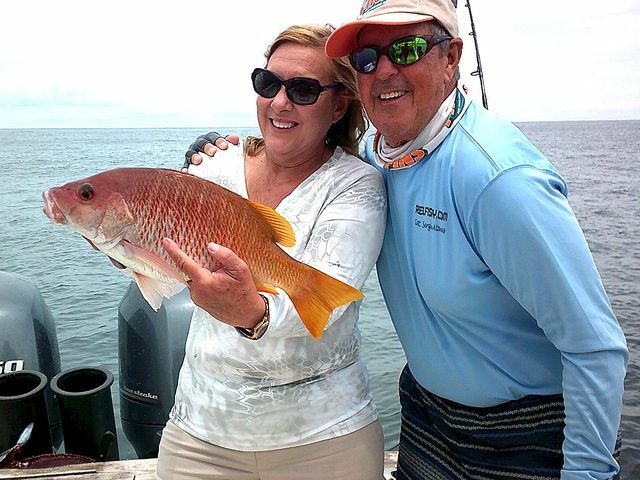 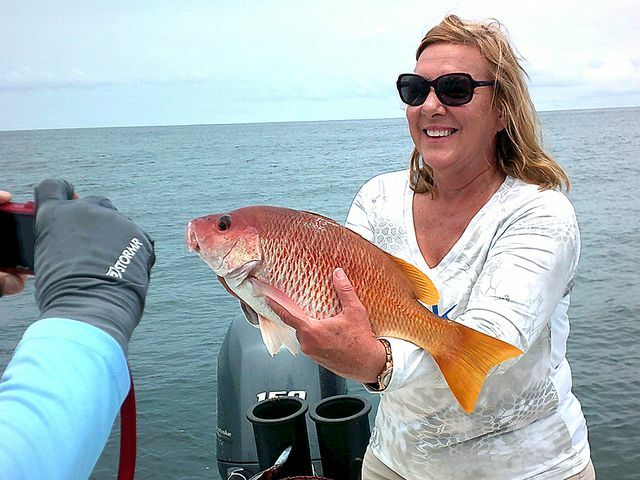 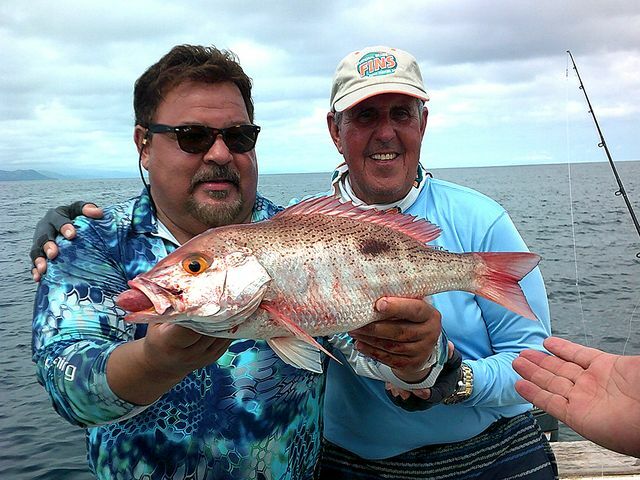 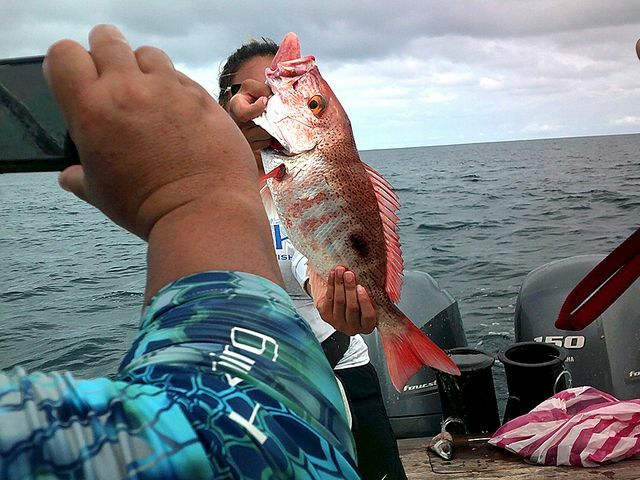 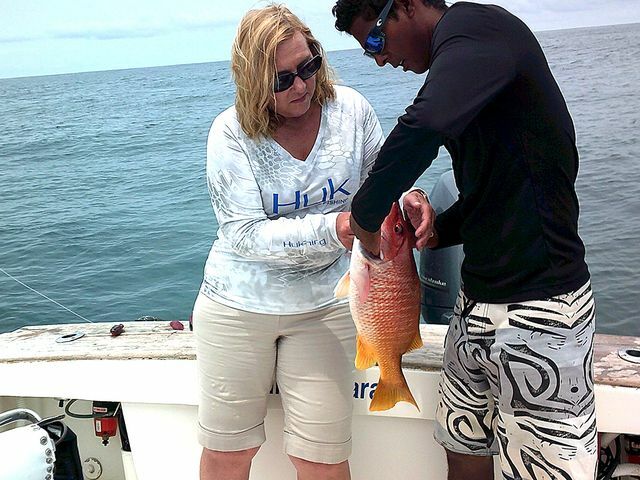 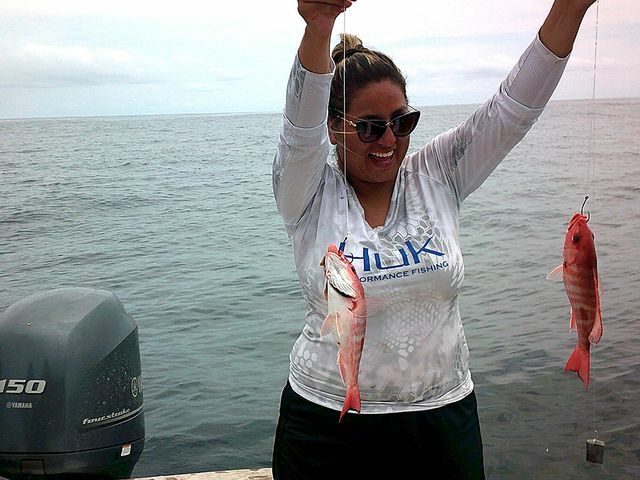 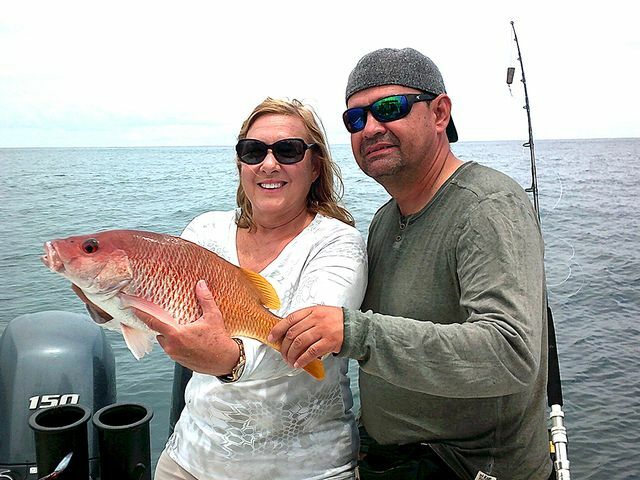 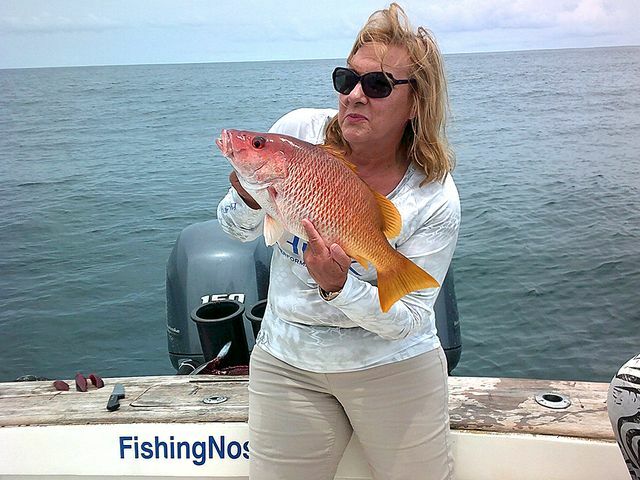 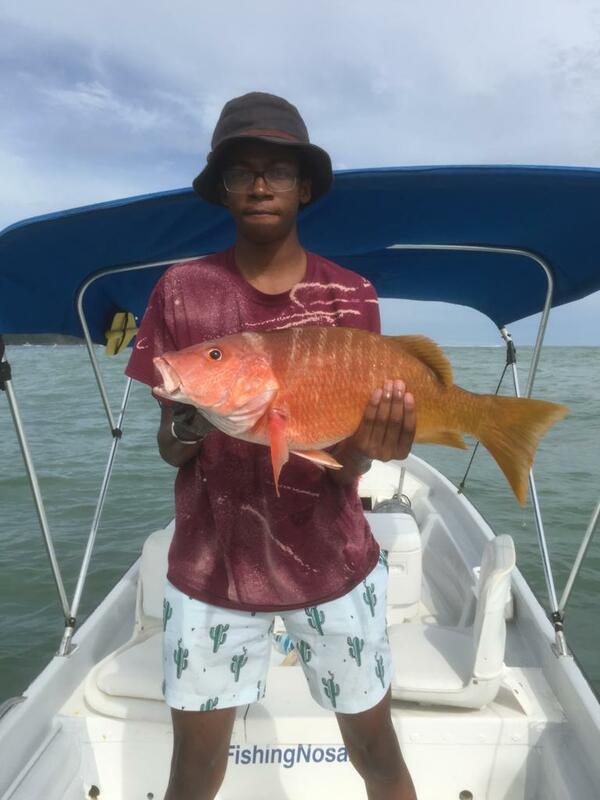 These big red Cubera Snappers are a real treat. 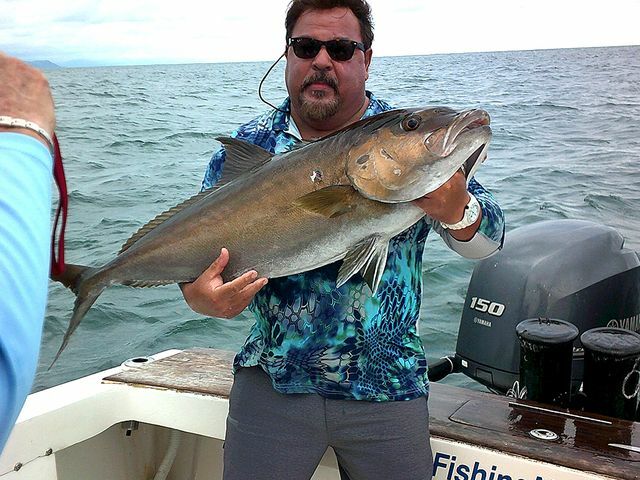 Then the Harvester pulled in this big Pacific Amberjack. 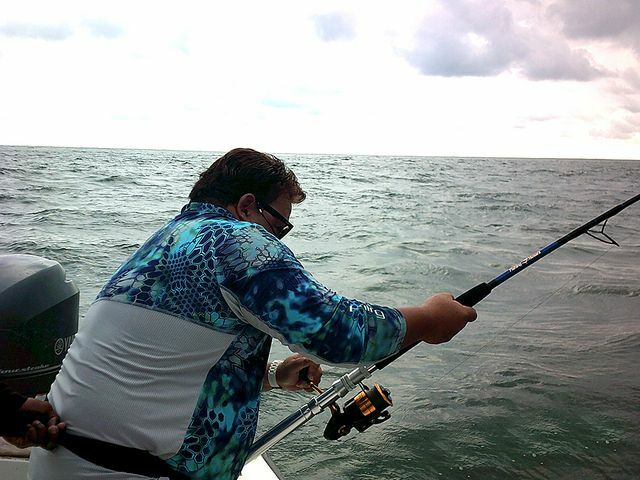 Inshore or Offshore, the Harvester delivers the goods! 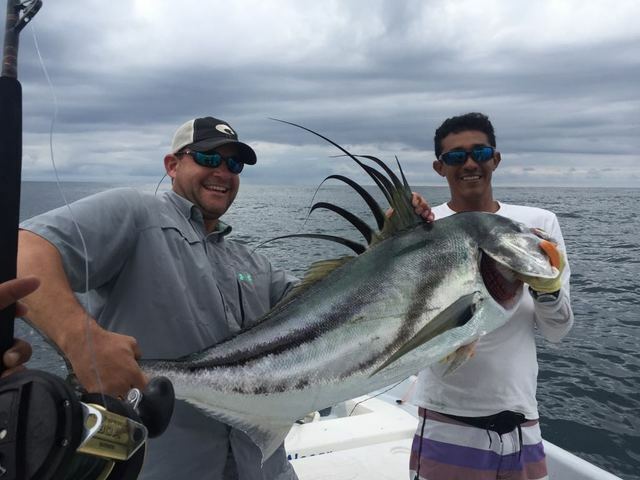 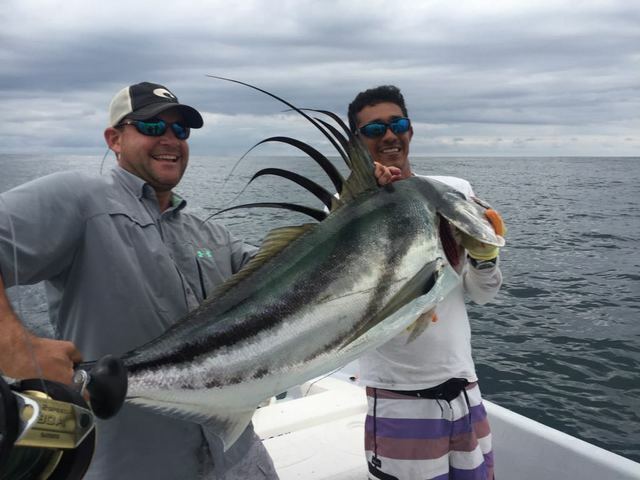 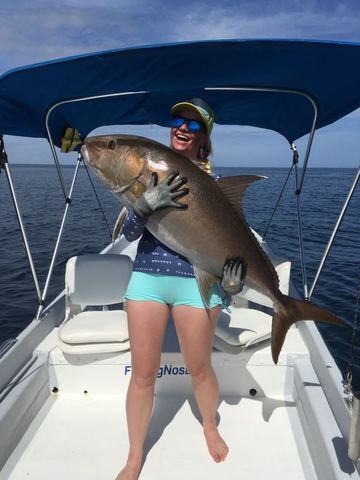 What an amazing fish…easily 80+lbs.! 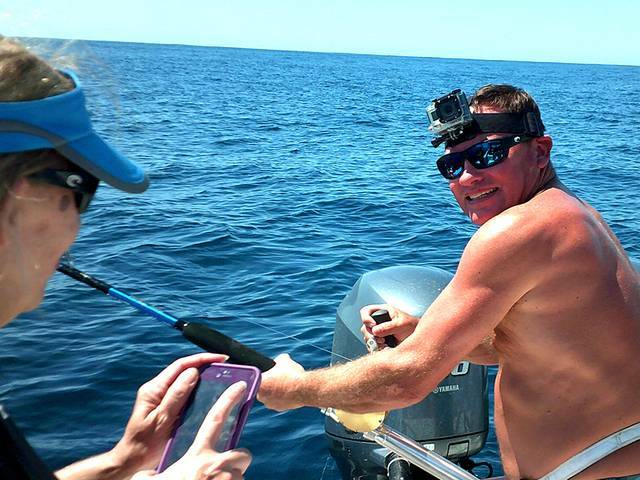 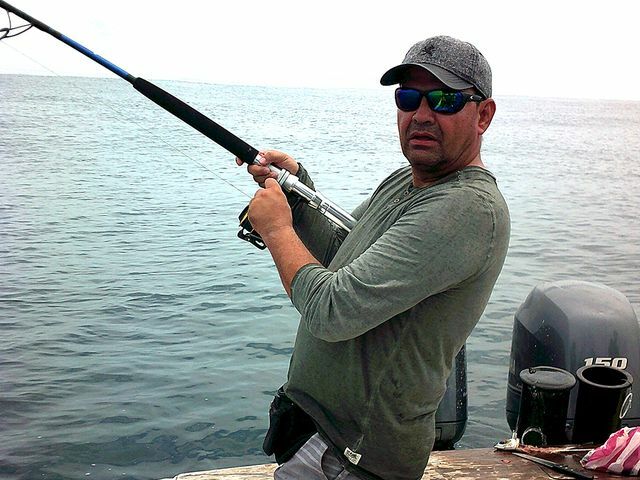 Captain David then lead a tour of the fish market, loading up on Snapper, Yellowfin Tuna, and Dorado. 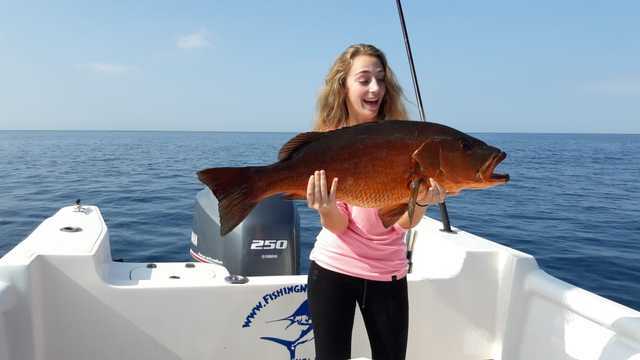 I don’t know if the IGFA recognizes an ‘Inshore Tasty Filets Grand Slam’, but if so this clearly qualifies. 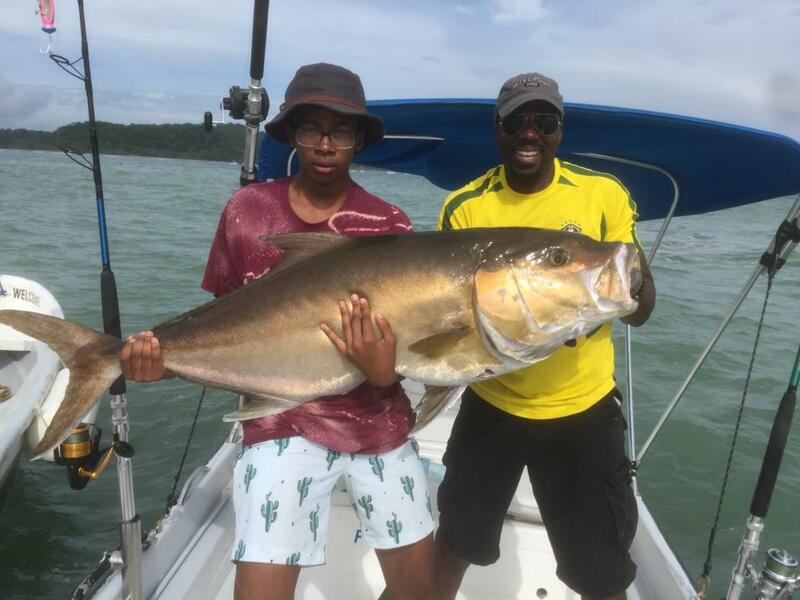 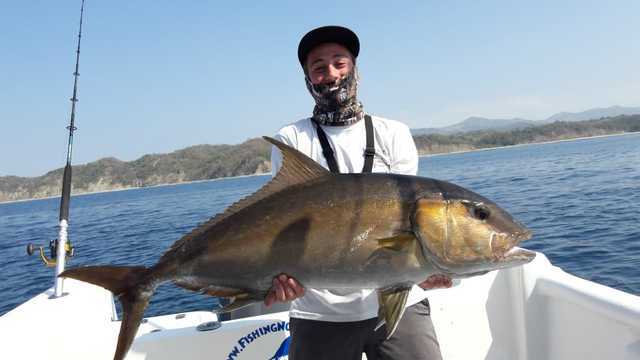 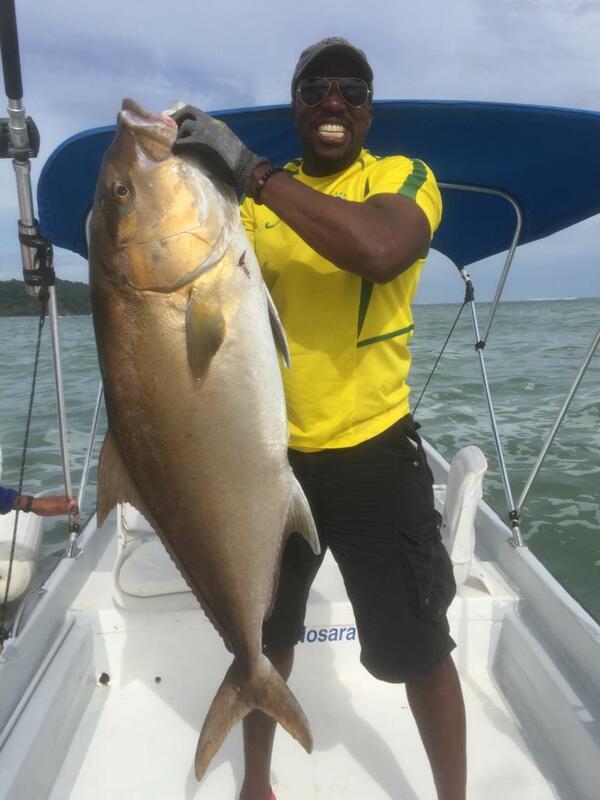 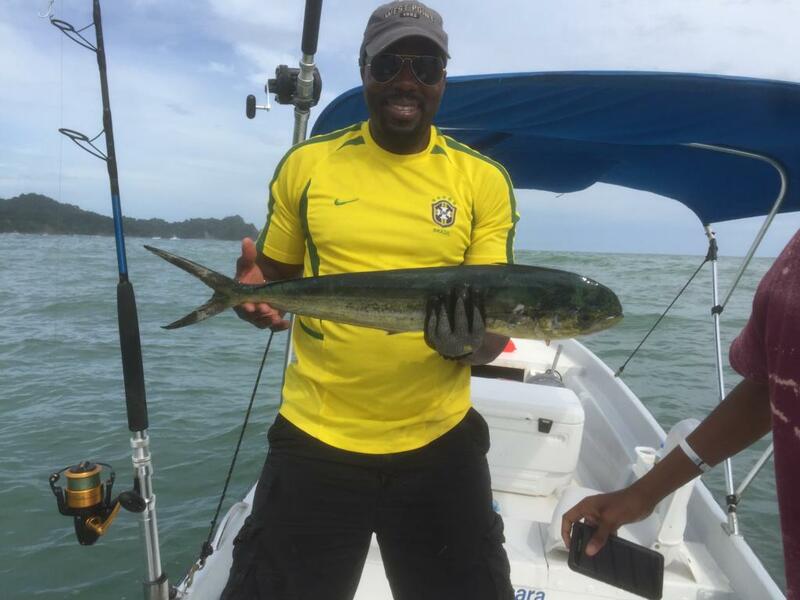 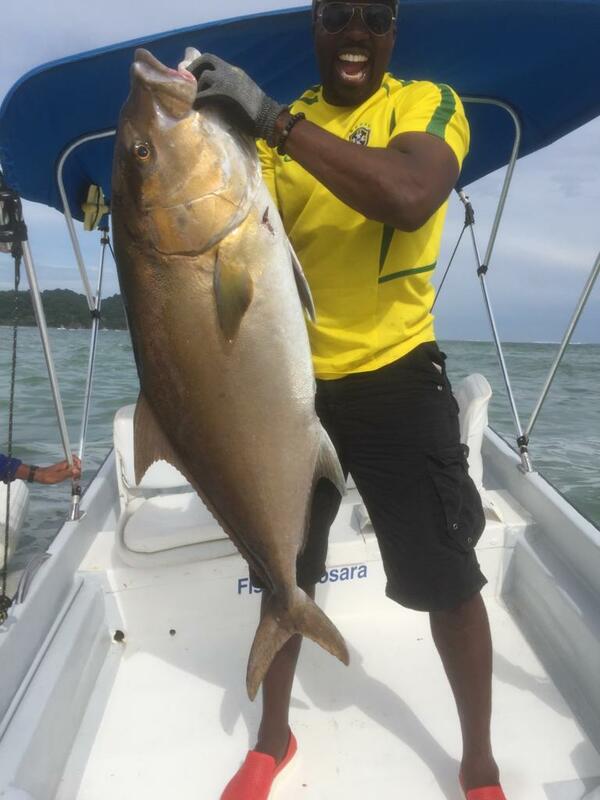 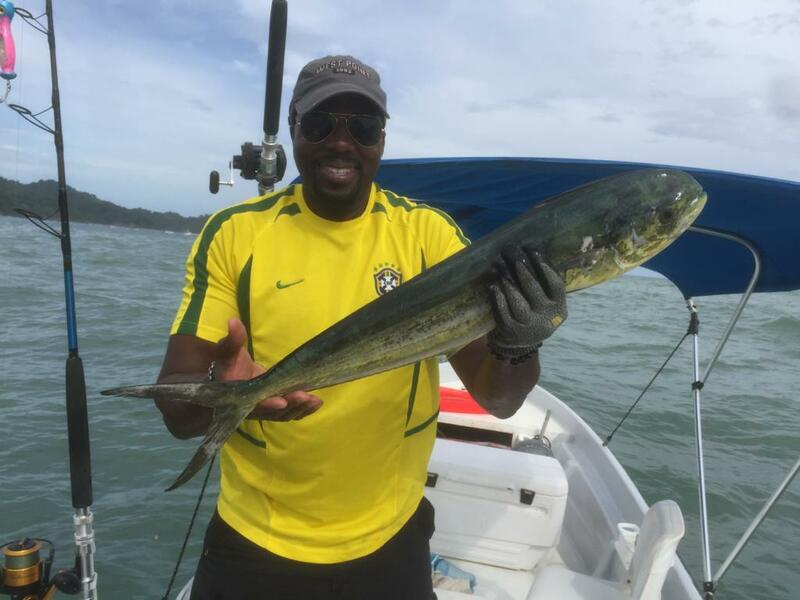 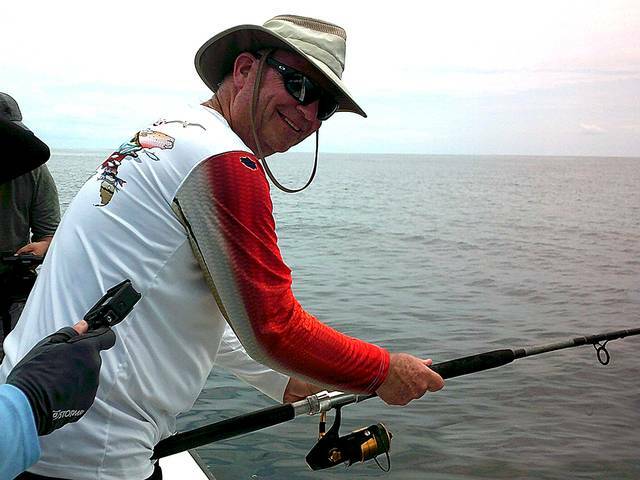 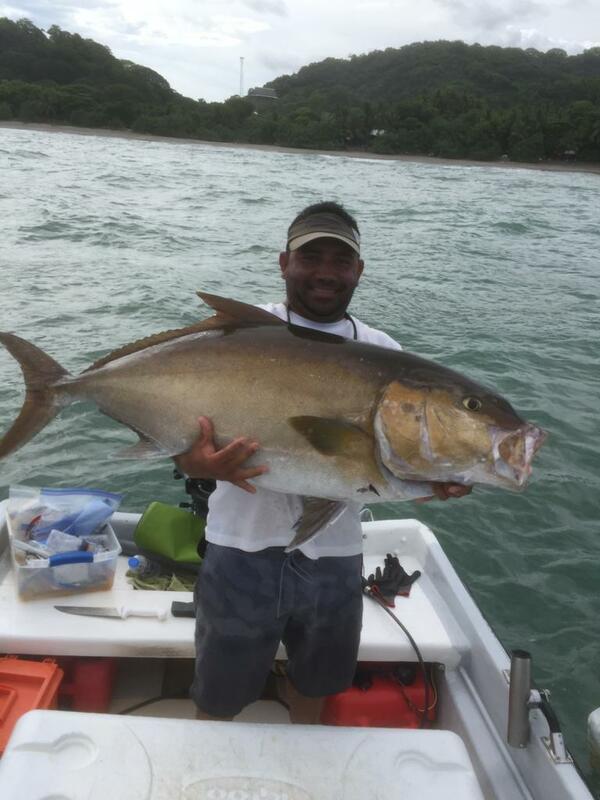 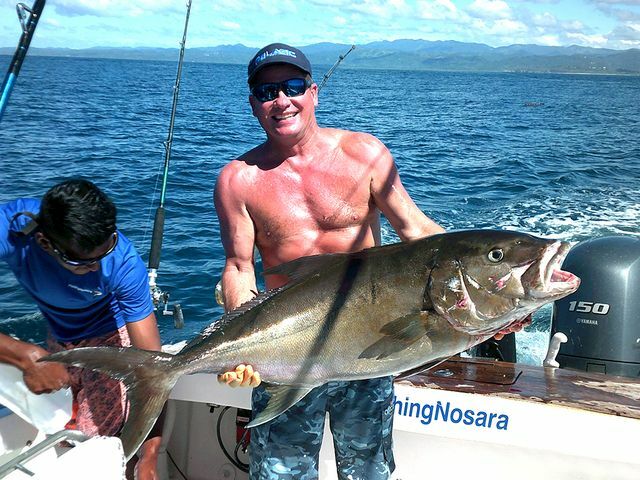 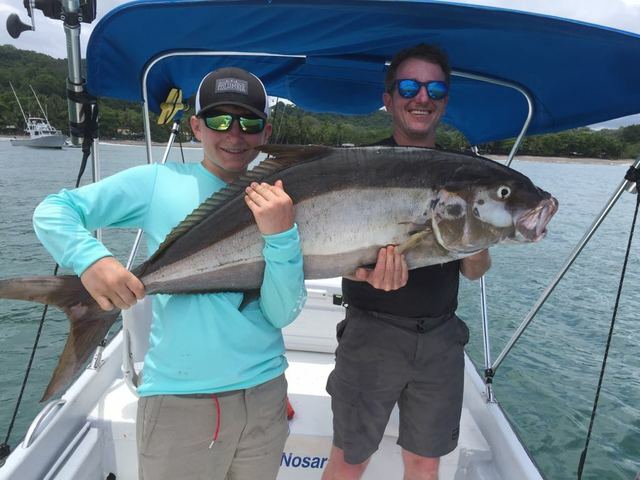 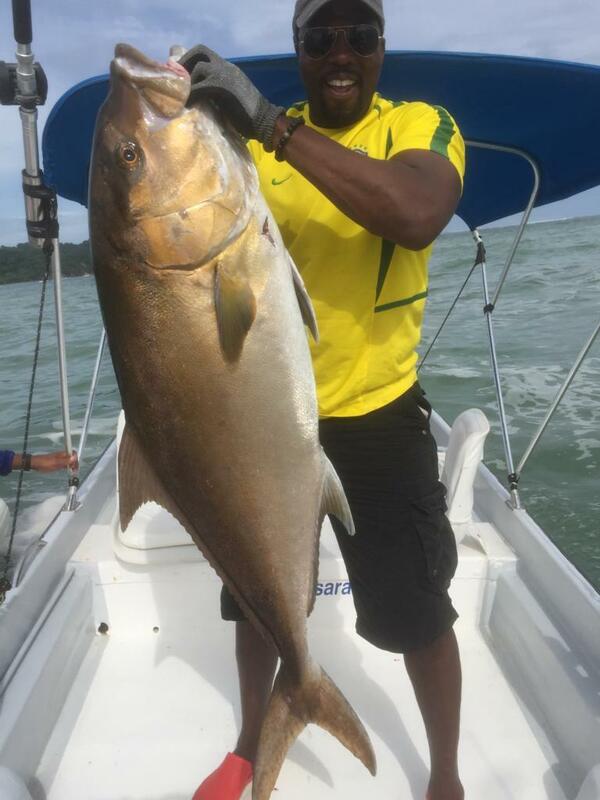 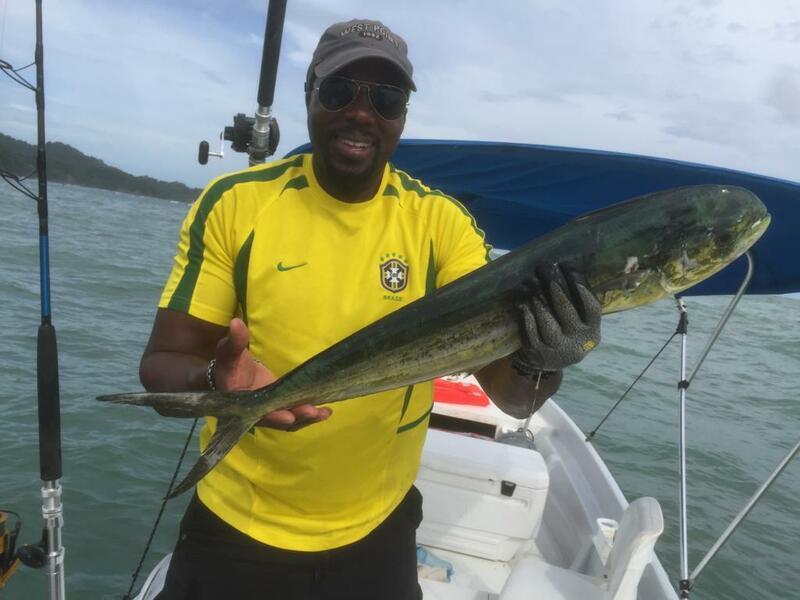 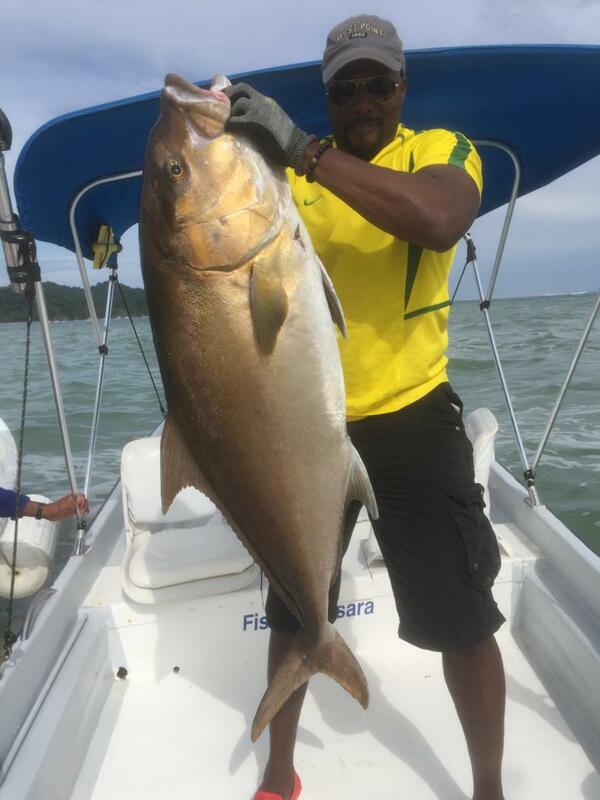 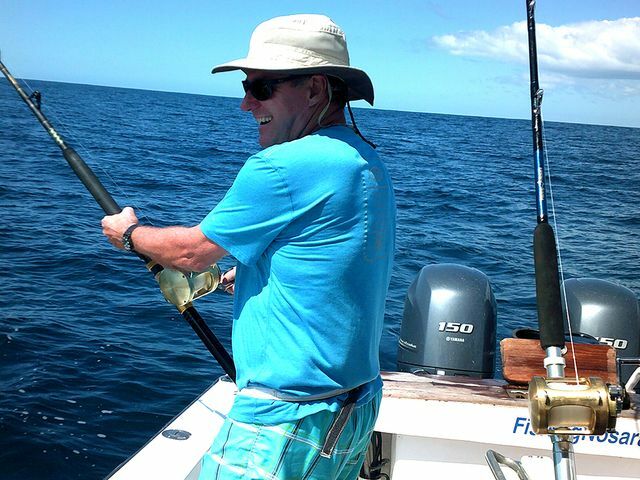 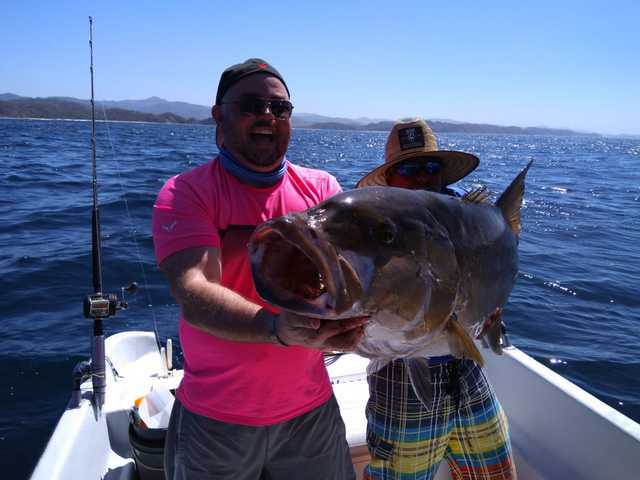 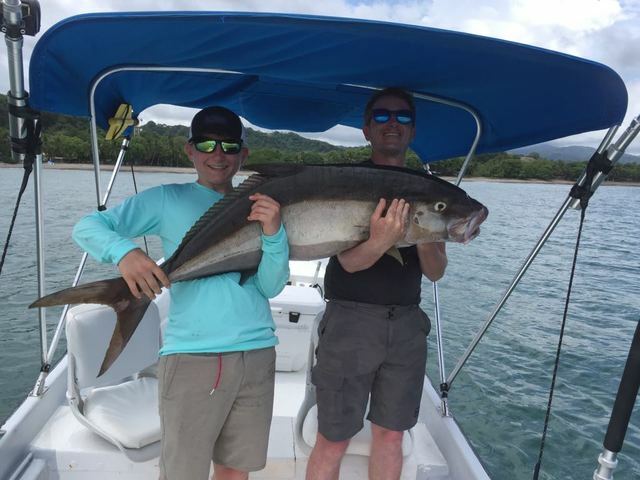 The Adventurer welcome Chris Walcott for a morning half day and they walloped a GIGANTIC Amberjack. 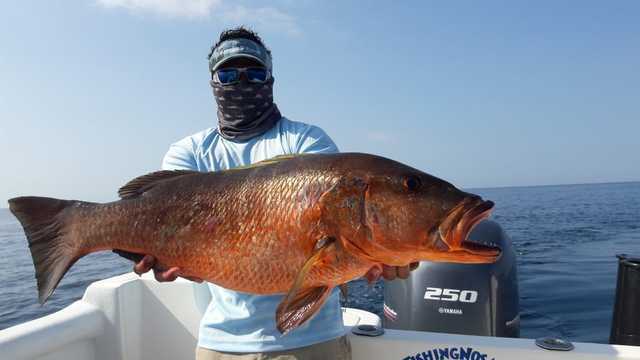 This monster easily weighs over 60lbs. 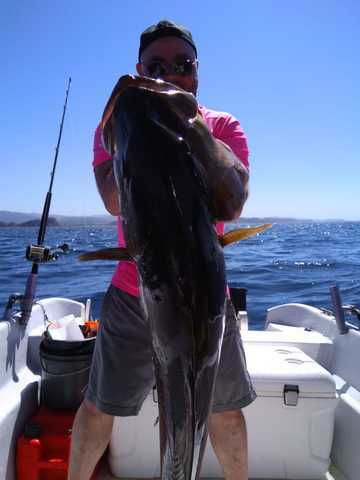 and will make for some fine filets; unlike their Atlantic Ocean brethren, the Pacific Amberjacks are great table fare. 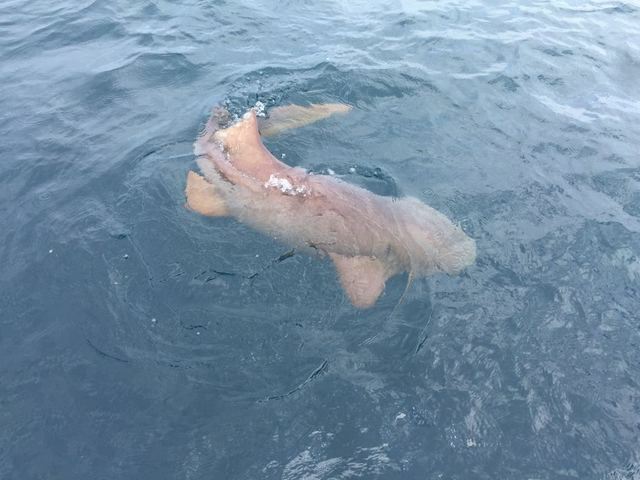 Later on they also came face-to-face with a Shark. 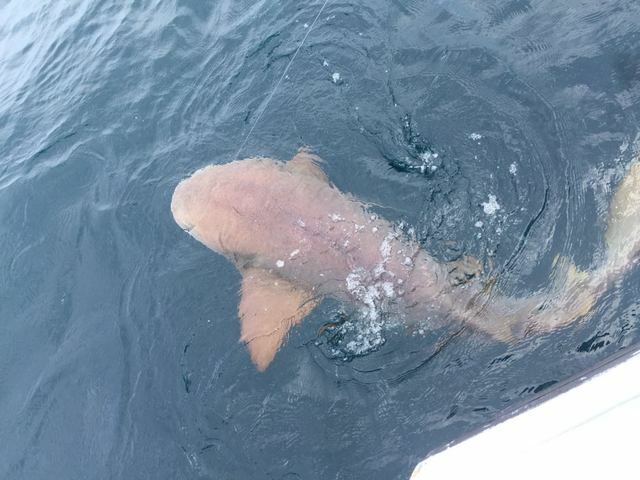 This is as close as Captain David wanted to get to this mini Jaws, so they cut the line and let him swim free. 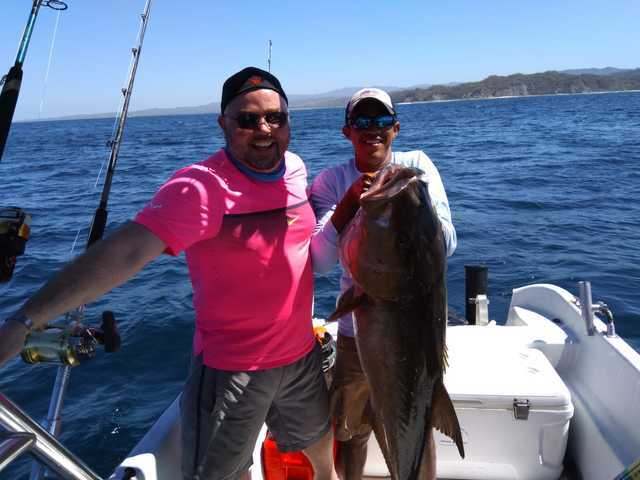 Captain David delivered a nice 50+lbs. 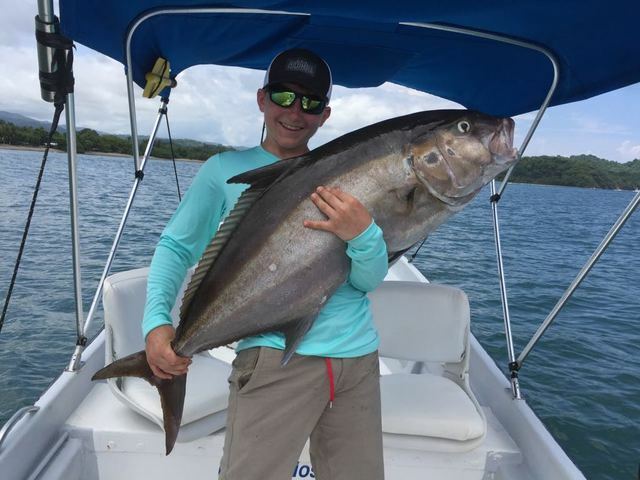 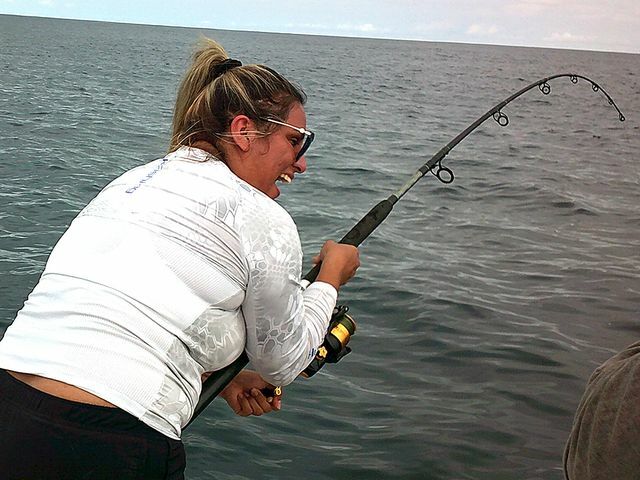 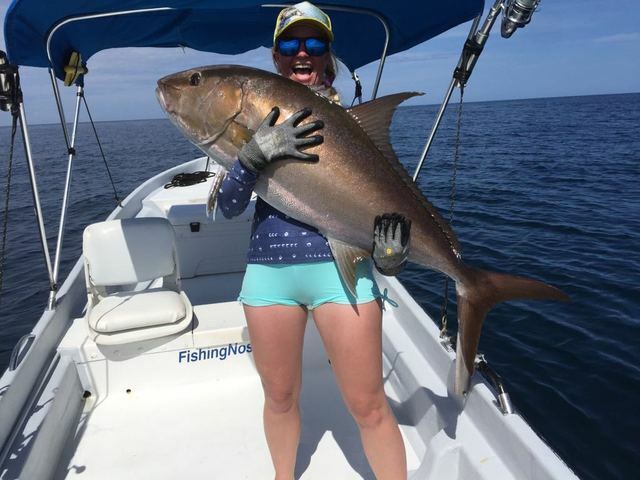 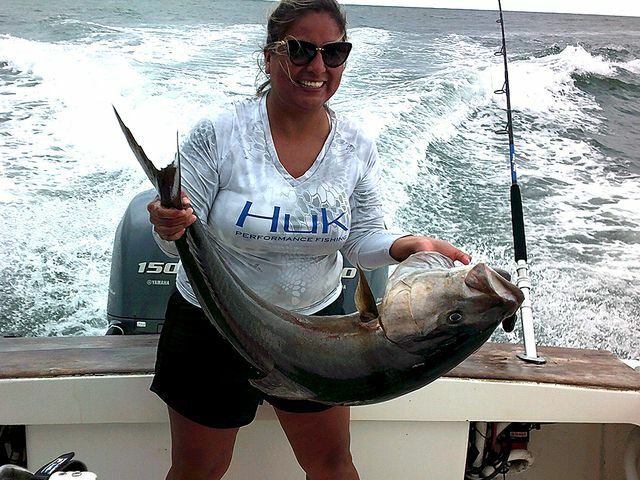 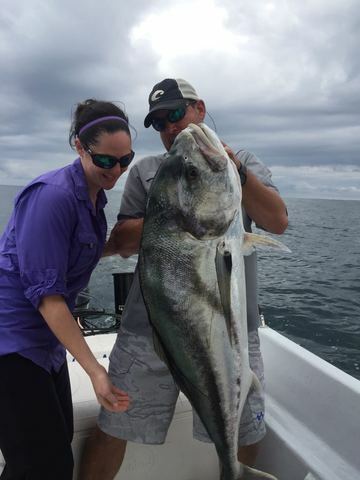 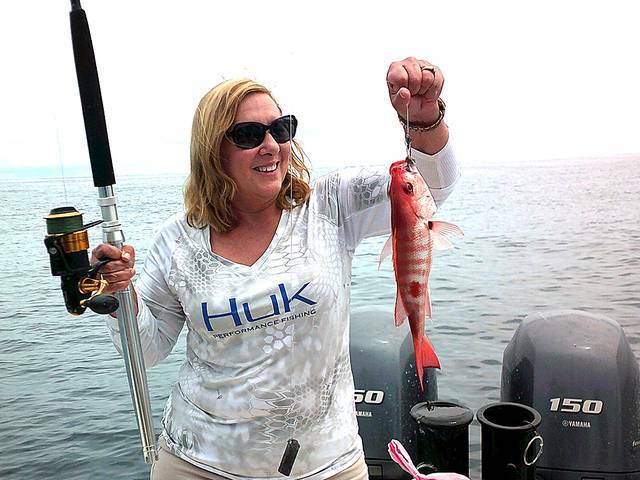 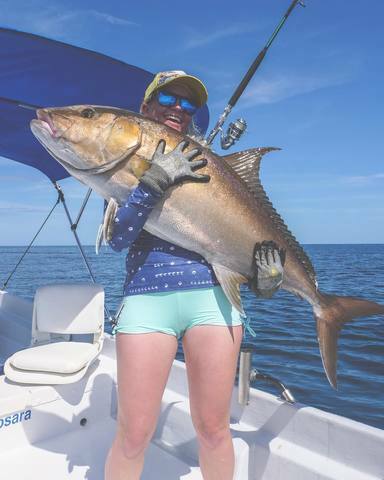 Amberjack in on May 1 with angler Christine Henkel. 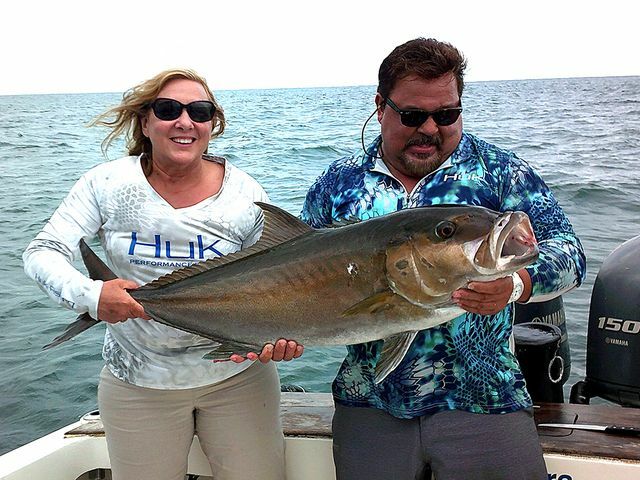 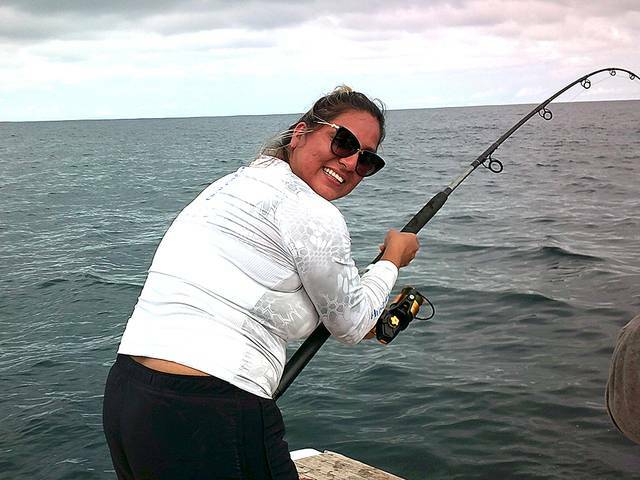 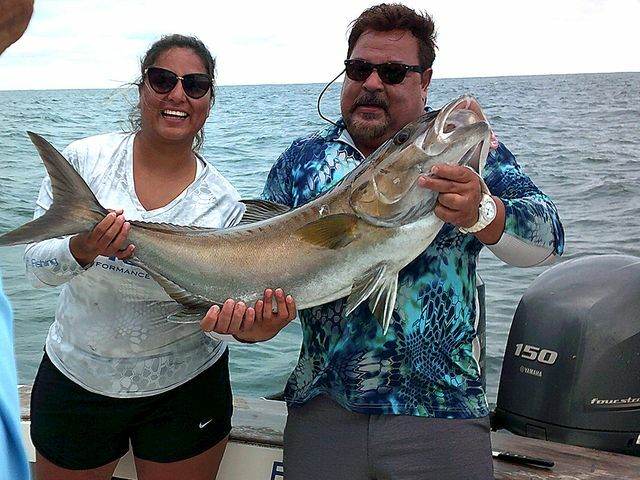 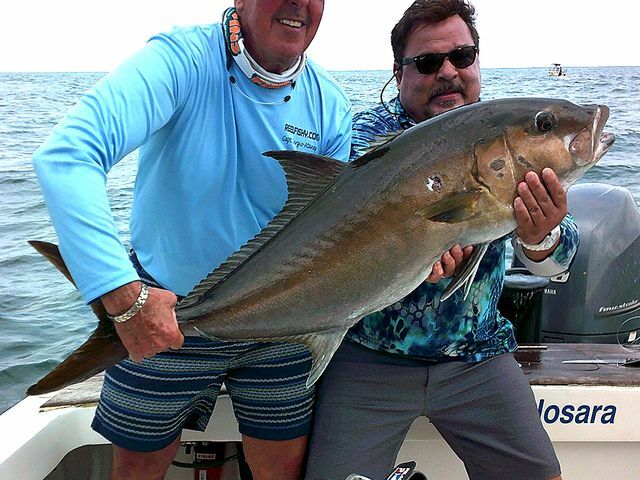 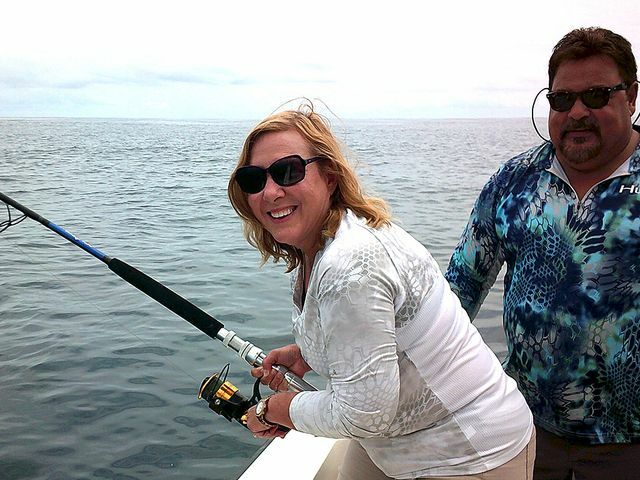 Captain Fico ended the month with a very nice Amberjack catch with angler Kerri Watt. 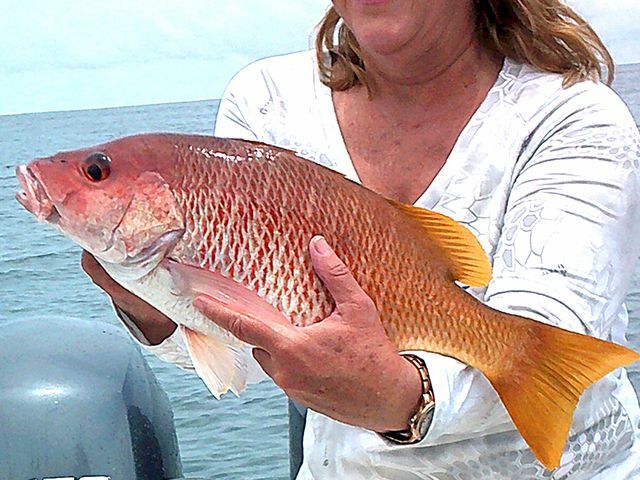 Unlike their Atlantic Ocean brethren, then Pacific monsters are quite edible and very tasty. 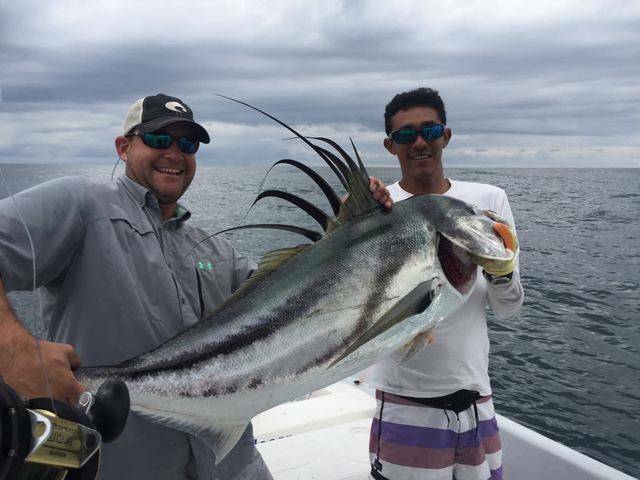 Great work by the Explorer! 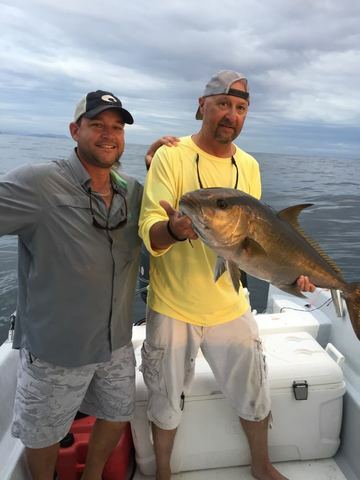 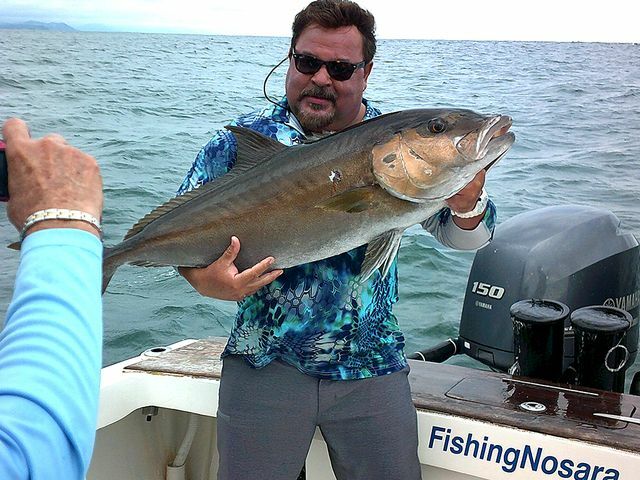 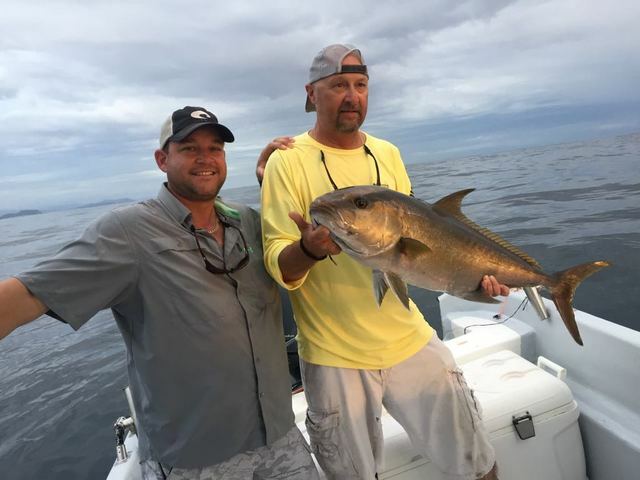 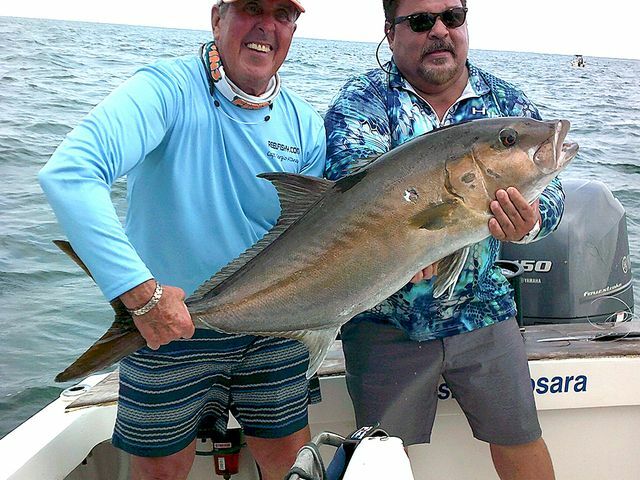 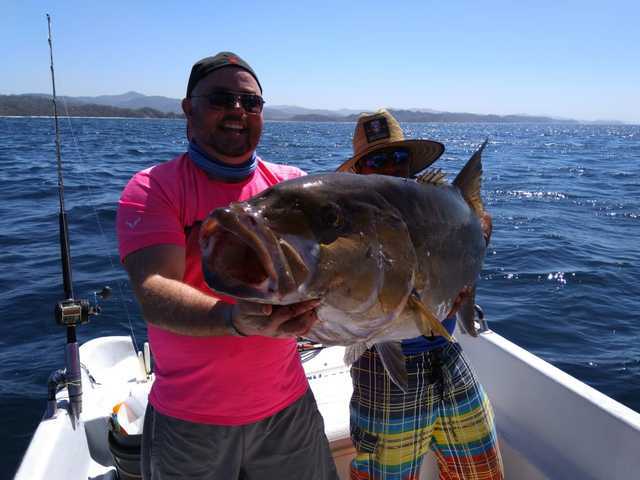 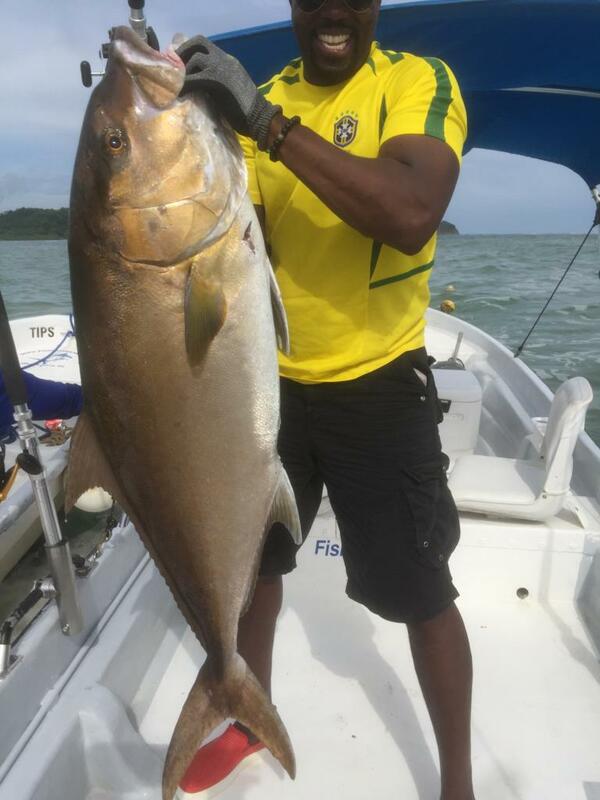 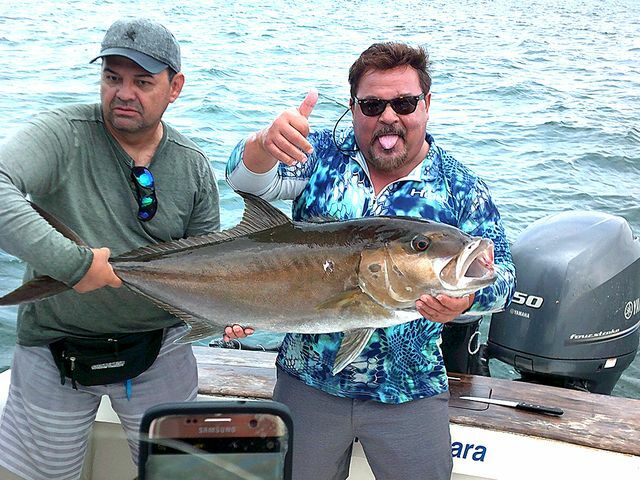 The big fish of the day with this awesome Amberjack.